My guy Manuel is on the Oaxacan coast studying Reiki. Between courses he drops into an internet cafe to render his opinion of local foods–we have frequent discussions about regional differences in traditional foods like these Oaxacan delicacies made of freshly ground nixtamal, which is starchy field corn cooked with powdered limestone and water the way it’s been done for over a thousand years, then stone ground to make beautiful whole grain breads. “Speaking of tlayudas, totopos and tostadas, here in Puerto Angel I found a place where in the evenings and at night they sell all of these at $35 pesos each, and as they are the first I’ve eaten in my 60 years I can honestly say they’re the best I’ve ever had! “Imagine a Oaxacan at age 60 eating his first tlayuda–well, that’s me! I never had one before because in the Lower Mixtec they don’t make them. There we eat totopos which are almost the same size, except that totopos are made with fresh lard and aren’t as sturdy as tlacoyos which can hold up under a lot of toppings. “Totopos are best with a light topping like nata (similar to Devonshire clotted cream), or regular cream, cheese and salsa, and they’re crisp and delicious as a snack or with a meal instead of tortillas. “Eating a tlayuda is a full meal deal, because when you’re through you’re really satisfied. 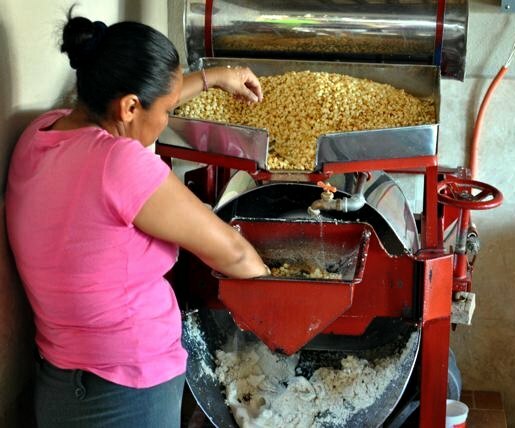 Another difference between tlayudas and our totopos from the Lower Mixtec is that tlayudas only keep a couple of weeks, and totopos keep beautifully for a year or more without any kind of refrigeration, held in a plastic bag. “Totopos from Juchitan and Tehuantepec are smaller, about 20 cm., and they have small holes. 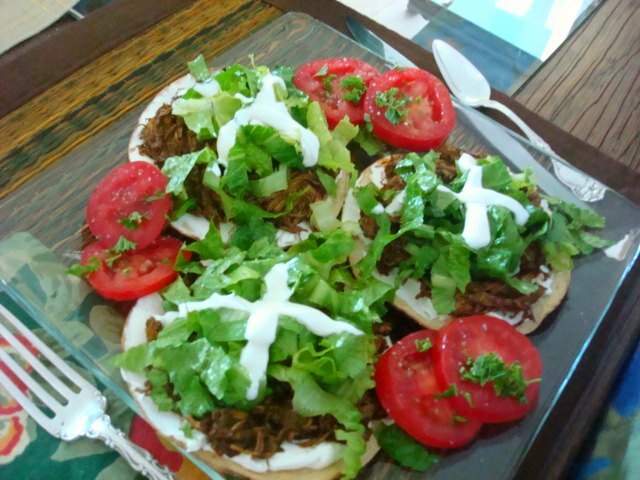 Tostadas from Puerto Angel and Pochutla have no holes and are very thin. And so once again I find myself recommending everyone who loves Mexican foods to get on down to Oaxaca for lunch! I highly recommend Tlayudas Libres in Oaxaca City, on Libres Street, which opens at about 9pm and goes like crazy until about 7am! Have a Oaxacan pizza and savor the flavors of Mexico.